As the days get shorter and the evenings start to draw in it is a sure sign Autumn is finally upon us and now is the time to get your garden ready for winter. Trees and shrubs really come into their own at this time of year. The turning leaves give a changing backdrop every day in your garden as autumnal foliage begins to appear and leaves go from green to burnt orange and red. It’s time to get on top of the bulb and bedding planting, give the lawns the autumn treatment and collect the handsome harvests of apples from our patio trees. Plenty to keep you busy in your garden oasis. Enjoy this beautiful time of year. Plant around 9 young bedding plants for every square foot (30cm²) if you have small cushion-forming plants like primroses, pansies or ornamental kale. For larger plants like wallflowers, cowslips and sweet Williams plant around 6 young plants for every square foot (30cm²). 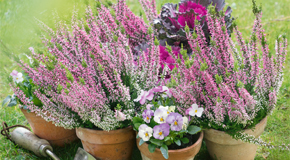 Plant the same density when you’re growing in pots – they will be well packed in but really put on a good show. October is great for getting spring-flowering bulbs like daffodils and tulips in the ground. 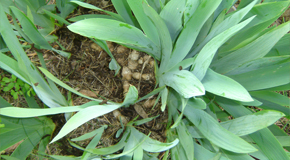 Check your bulbs are firm and plump before planting. 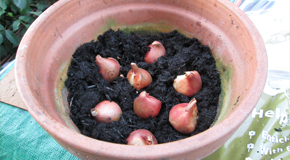 Grow spring-flowering bulbs in free-draining and loamy soil like Westland Bulb Planting Compost which ensures these beautiful plants get an ideal root environment, for wonderful blooms from as early as January, at just the right time to cheer you up in deep winter. If planting in a bed with clay soil add Jack’s Magic All Purpose Compost to improve the drainage. As leaves fall more and more frequently over the month, you will need to be vigilant in clearing them off the top of your ponds. 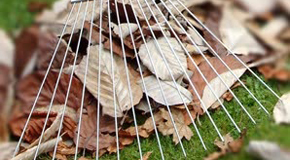 Left to rot these leaves add nitrates to your pond which encourages your pond water to foul. This is not good news for your fish. Each morning skim leaves off the surface of the pond with a net or apply a structure like Katcha Pond Protector. 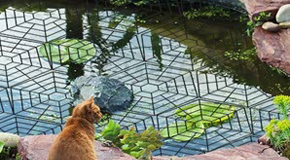 This catches the leaves while providing protection from opportunistic herons and cats. In October the weather may be fair enough that you need to keep mowing the lawn throughout the month. Towards the end of the month give your lawn an autumn treatment which includes scarifying all the debris that collected over the summer, spiking the lawn (with a garden fork) to get air to the grass roots and then top dressing with horticultural sand to improve the soil too. Consider repairing holes in your lawn and edges that have become rough and tatty. This is a great time of year to lift up perennials like hardy geraniums from your soil and divide them into smaller sections. You can then place these smaller sections in bare pockets of your garden and increase your stock. Use a spade to chop into sections or two forks back to back to prize tough root apart. When you replant the smaller sections into beds water well and leave plants to settle over winter. Turn your grass clippings, dead flower stems and dried-out weeds into a valuable soil conditioner. Recycling organic waste is the epitome of excellent gardening, turning waste material into a vital commodity. 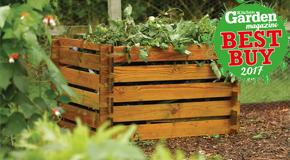 We recommend you use a composter with gaps between the slats.This allows vital air to get to your compost and breaks it down quicker. If you want to add weeds, leave them out to fry in the sun beforehand. Our budget composter just won Kitchen Garden Magazine BEST BUY of 2017. 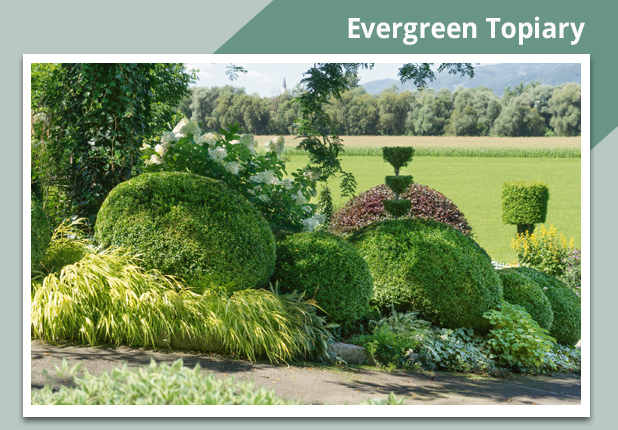 Add structure, dimension and style in to your garden by planting evergreen topiary – topiary adds to your garden and can help add worth to your overall property. Topiary works best from plants such as box, bay, sarcococca and privet – which are evergreen and reveal an abundance of small glossy, green leaves. Grow topiary in containers and position around your door. Keep them clipped to shape over the growing season and leave over winter. Keep soil moist however as containerised plants can dry out. Alternatively add topiary to the front of a bed to add year-round interest. Grow a low hedge along the edge of the bed or individual box balls which break up a flower display for attractive contrast. Box Hedge - An evergreen shrub with small glossy dark leaves. Sarcococca Confusa - Gives you attractive glossy leaves all year. Privet Hedge - A classic evergreen hedge choice. These small beetles can wreak havoc on any crops that you are growing including cabbages, and some salad species like rocket. The shot-gun holes in the leaves are a sure sign that flea beetles have paid a visit around the edges and within the leaves. Flea beetles attack ornamental flowers too like nasturtiums and wallflowers. If sowing salads or cabbage crops, water well so the soil is never dry and protect with insect meshing. Other control includes PY Insect Killer Concentrate which works well against flea beetle. 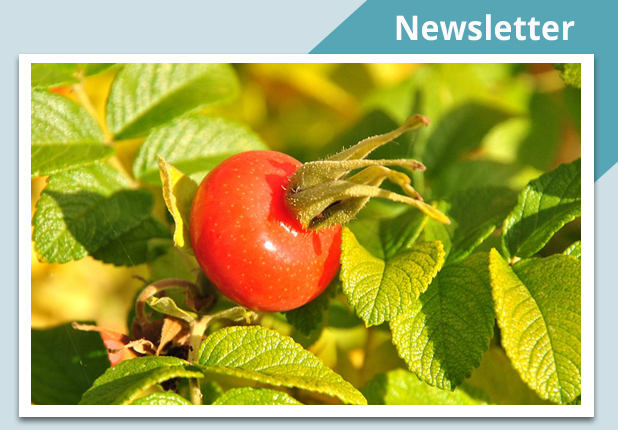 Autumn is a wonderful season to visit flower and vegetable shows. Many colourful flowers like dahlias, rudbeckias and salvias look at their best now and all the exhibitors and flower experts know how to showcase them to their best. The RHS Autumn Garden Show on 25-26 October takes place in the heart of London – a peaceful oasis from the hustle and bustle. Look out for new floral exhibitors Strictly Daylilies, workshops and inspiring talks from well-known names like Nick Bailey and Bill Oddie. Get hold of this fantastic new blackberry variety. Purple Opal reveals its delicious fruit above the canopy of leaves so you need not scrabble about in the bush looking for berries. Perfect for growing in a container on your patio get one for £9.99 or get 3 Purple Opal plants for £19.98 and save near £10 to get three times the crop.